For those struggling with a unique array of challenges which are prevalent in the lives of those holding positions of authority, or situations garnering tremendous emotional and/or physical pressures, or those held highly in the public eye such as actors, politicians and so on, our advanced methodology is coupled with great sensitivity, professionalism and unrivaled expertise! 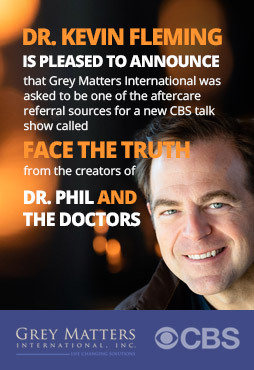 Dr. Fleming and the Grey Matters International staff works with individuals of all backgrounds. From integrative personal coaching to management & business consulting and even spiritual development, the Grey Matters Approach can be the next life-changing event preceding unimaginable improvements in your life and in your career. Individuals in such prestigious positions as described above require not only a refined approach, but one which is able to be integrated within the parameters of what they do and how they live. An NFL quarterback or a Fortune 500 CFO are required not only to bear a unique set of unthinkable requirements, but are also placed in positions that mean great responsibility for the outcome of many other’s lives. There exist numerous variables in their lives that, if managed and properly worked through, can create an extraordinary outcome. Regain that which once propelled their success…and then improve upon it!